SelectNA™ Blood Pathogen Kit Kit to be used with Liaison® Ixt (Diasorin), Arrow® (Nordiag), Seeprep12™ (Seegene) or GenoXtract® (Hain Lifescience). 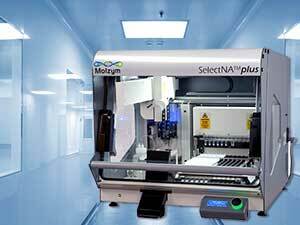 The SelectNA™plus robotic system is the walk-away solution for enrichment and isolation of microbial DNA. The contained environment in the instrument is ideal to minimize the contamination risk from air-borne sources and handling errors. The robot is operated with the MolYsis-SelectNA™plus kit and validated for 1 ml fluid samples, swabs and tissue biopsies. The process is based on an innovative vacuum-driven protocol for host DNA removal and pathogen enrichment followed by microbial DNA isolation providing an optimal solution for e.g. low load samples with only small amounts of microbial DNA. The isolated DNA can be used with any molecular assay for the analysis of bacterial or fungal genes, genomes or metagenomes. The SelectNA™ Blood Pathogen Kit combines the manual procedure for host DNA removal and pathogen enrichment from blood samples with the automated extraction and purification of pathogen DNA. 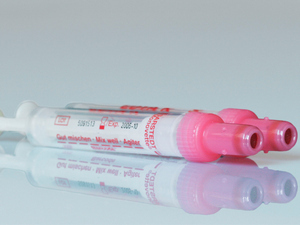 The DNA is highly pure and can be used for direct PCR testing. The kit contains DNA-free plastic consumables, enzymes and reagents necessary to run the complete protocol.